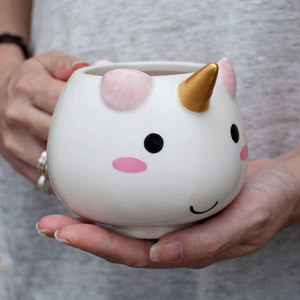 Unicorns, unicorns everywhere! Oh what joy they bring to us all. 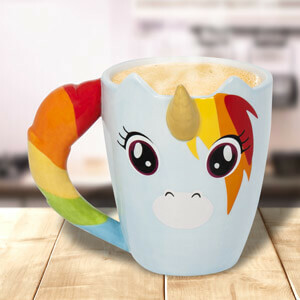 Just imagine, 10 of these mythical equine beasts all in a row. 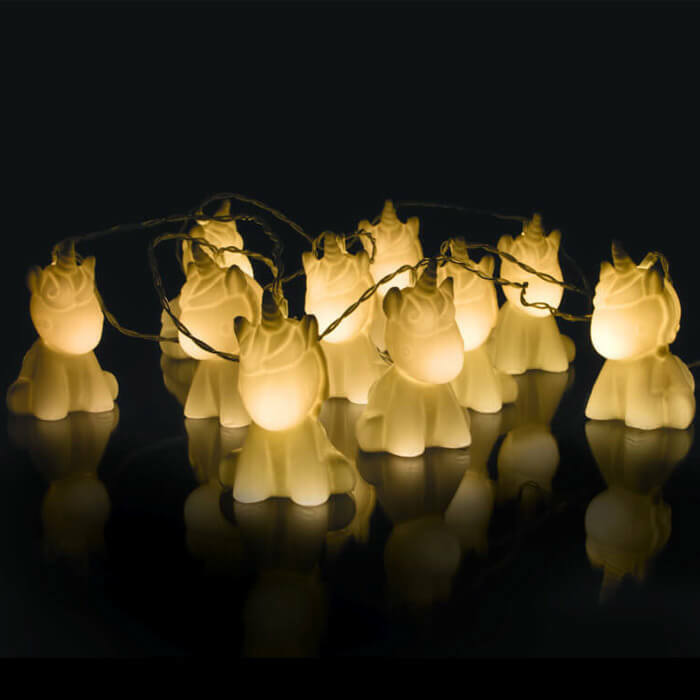 With these string lights, you can make that dream a reality! 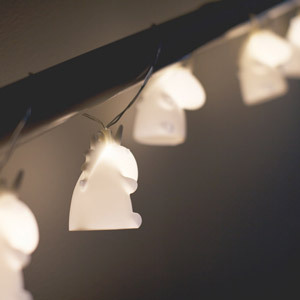 Attached to 2 meters of string, these enchanting light up animals can be easily attached to any wall inside your home, instantly giving off a magical feel. Simply install 2 AA batteries (not included), and switch these beauties on for hours of captivating luminescence. 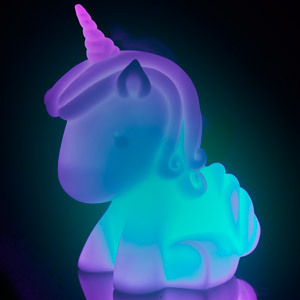 These charming fanciful foals make a perfect gift to any unicorn lover, or anyone that needs a bit of a magic glow in their lives.